Sovereign in purpose, infinitely powerful, and transcendent over all He has made, God is equally infinite in grace and mercy. He knows and cares about your every need. The Heavens provides a unique and extraordinary opportunity to soar above the distractions and burdens of life as one meets with, and worships the Creator of the universe. 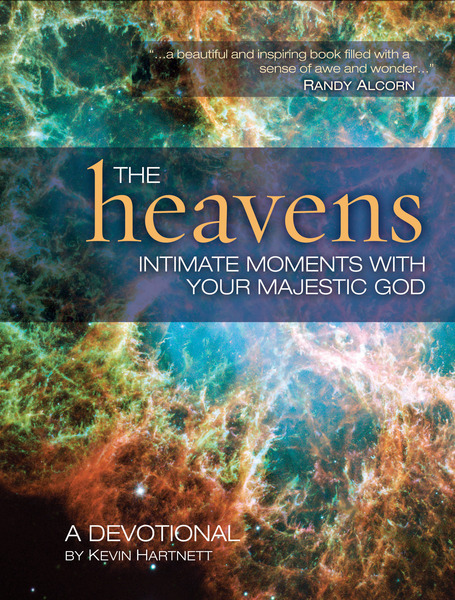 Over 100 fascinating devotions with stunning images, insightful and Biblical commentary, stirring poetry, and perfectly chosen scriptures are integrated around clearly presented topics in astronomy. A toolbox and jewel box combined, the Heavens both equips and inspires the soul to know and love God.